I was alerted to this video by Emily Lakdawalla on her Planetary Society Blog and ilbasso on Unmannedspaceflight.com. It shows the effects of a beam from a proton particle accelerator on a poor, helpless webcam. These effects are analogous to those seen in spacecraft photos due to the impact of cosmic rays and charged particles on spacecraft camera CCDs. During processing these noise hits are removed, though some, like the streaks and snow effect shown in the video, often need to be removed by hand. An example of one I worked on was a sequence of images of Saturn's moon Epimetheus acquired last year. These images were some of the highest resolution images that will be taken of this moon during the Cassini mission. 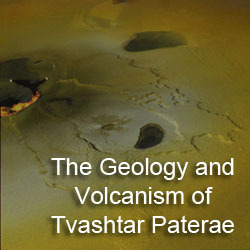 The images were acquired when Cassini was between the E and G rings, where charged particle radiation was highest and its effect on the images taken can be seen in the raw data. With the help of noise filtering, manually removing stubborn streaks and noise "blobs", and summing multiple images together to improve signal-to-noise, I managed to create a cleaned-up, final product. 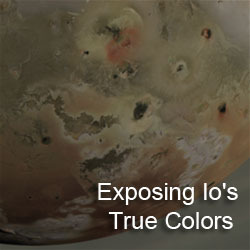 Noise hits from charged particle radiation are also a problem with Io images. 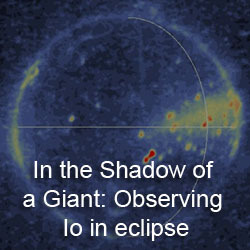 Io orbits within one of Jupiter's most intense radiation belts: the Io Plasma Torus. Particles from this radiation belt, composed of electrons and heavy ions like sulfur, oxygen, and sodium, can produce noise in images and affect other electrical systems on a spacecraft (like causing safing events, damaging the summation mode of a camera and the grating of a spectrometer).